The Barber Behavioral Health Institute opened an Outpatient Clinic to provide therapy, counseling and medication management to meet the needs of children, adults and families throughout Erie County. The Barber Behavioral Health Institute Outpatient Clinic is located in a modern, newly renovated suite at 1621 Sassafras Street. The centrally-located facility offers comfortable accommodations for individual, couples and family counseling and group therapies and ample accessible free parking. The treatment team includes board certified psychiatrists, registered nurses, licensed psychologists and mental health counselors. 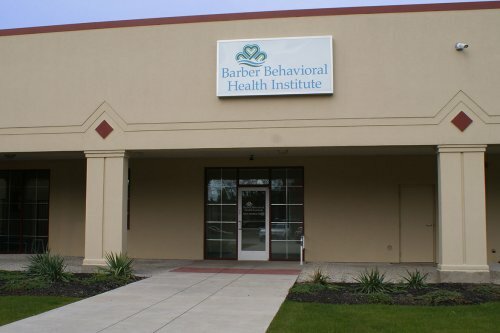 The Barber National Institute has been providing behavioral health and medication management to individuals with intellectual disabilities since its founding in 1952. Within the past decade, it has expanded its full range of behavioral health services to serve all children with a mental health diagnosis. The new Outpatient Clinic will offer treatment for a wide range of behavioral diagnoses including depression, anxiety, bipolar disorder, obsessive compulsive disorders and trauma caused by grief, loss or abuse. Most major insurances will be accepted and we are currently in the final stages of credentialing with insurance programs. For more information or scheduling, please contact our office at 814-871-4725 or email BBHOPClinic@BarberInstitute.org.